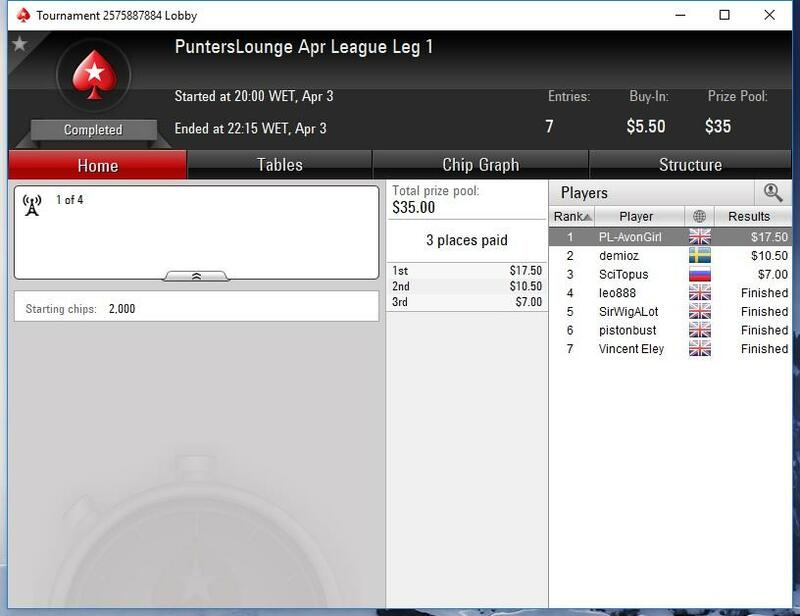 The Punters Lounge £150 added Poker League continues this week with our April league. All games are played in the PokerStars Home Games PL Poker Club. This month all legs are NLHE. To help boost numbers in the final leg and keep the league competitive we will be trialling double points in leg 4 this month. 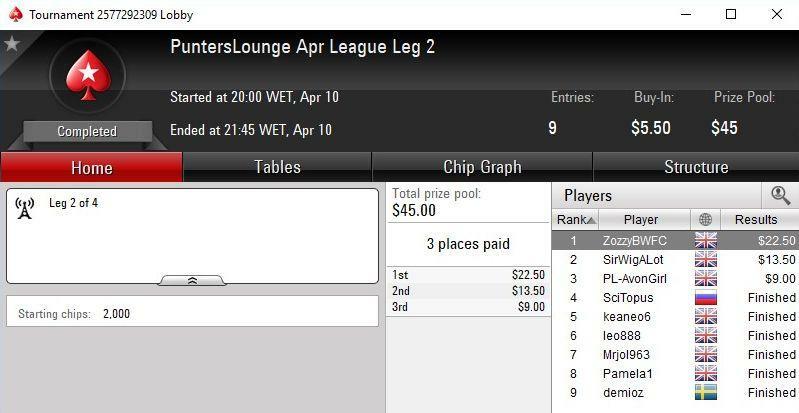 Leg 1 : Wednesday 3rd April at 20.00 GMT in the PL Poker Club Home Game. The £150 added will be split between the top 3 players of the league end, with £75 to the league champion, £45 to 2nd and £30 to 3rd. This will be payable via PayPal at the end of the league. Big thank you to SirPuntalot and Punters Lounge for the added funds. 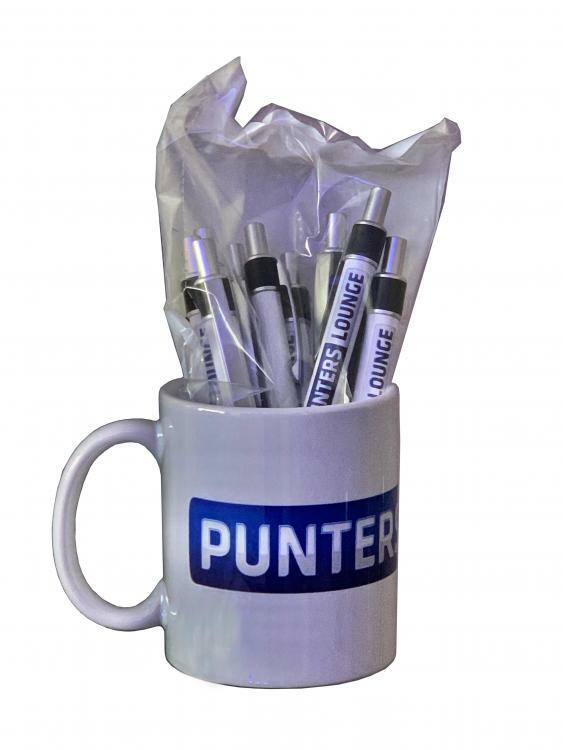 Winners will also get Punters Lounge merchandise. See below. Just tried to log on to stars to find that my 'playing privileges' have been revoked. After an exchange of emails, stars tell me... "After a careful review of your Stars Account, we have decided not to allow you back on our sites until issues with AdSki16 are solved. We do not imply that you have done anything wrong, however, we cannot take the risk that the related user gains access to our sites via your Stars Account." AdSki16 is my youngest son who left home last year and who does not even know my password. Stars refuse to discuss the matter, refuse to tell me what (if anything), they are going to do to resolve the problem and are acting like a bunch of fascist bully boys. Not sure if @Sir Puntalot will be able to do anything to help Ian. 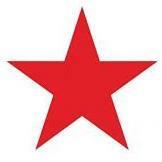 Stars/BetStars isn't really one of the sites we have a business relationship with. I only use it for the league as the home games option gives us the facility to control set up of the games ourselves. If there was another site with this we'd definitely look at using them. Sadly this is the arrogance that has become Skybet, and The Stars Group who bought them out. They literally stole money from many partner sites and under current management, we will have nothing to do with them. @avongirl Do we not have any other options than giving these clowns exposure? Punters Lounge merchandise update - see post 1. Is it ok if I join your home game tonight? Not sure if you got in or not, but @avongirl is the right person to answer, I merely sweep the floors and make them look shiny. @PLLofthouse - I think it's best to just wait for leg 2 now. With apologies to PLLofthouse, I was busy! Ha Ha Ian, the Club has no money and staff haven't been paid wages for two months. I am more interested in poker than football these days. When I named my username on pokerstars I used to go to every match home and away. I am not that much of a fanatic these days. Only playing tomorrow because I'm off work for a few days, looking forward to it. have made sure @teaulc is aware to accept you today. See you tonight. My account is not verified yet, not sure if you can accept a non verified player? Thanks Ian I enjoyed it. It won't be the last you see of me. Did you manage to get in? I hope pokerstars allow you back in soon Ian. You wouldn't do anything wrong. Maybe it is just a simple thing like you and Adam both previously using the same home address or IP address flagging up on their system. I was going to contact you to say it was showing you as logged in when I was looking at our club member's list. So they still let you log in but not to play?